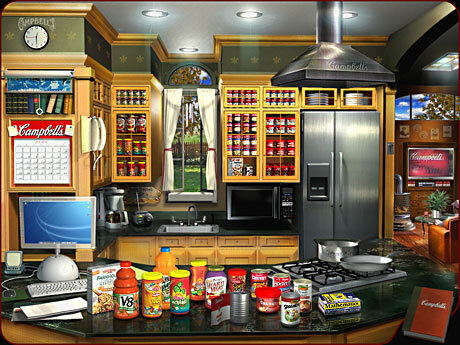 Meshfolk was commissioned by Ryan Partnership to build a 3D kitchen for their client, Campbell's Soup. The project went on to win several prestigious awards, including a Telly Award and Best of Show, Horizon Interactive Awards. The environment has incredible detail. 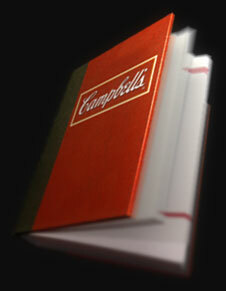 Every Campbell's product was carefully crafted in 3D along with all the other items you might find in a kitchen. The environment includes an innovative navigation system in the form of an animated 3D cookbook. When the book is clicked upon, it leaps open, flips through pages and brings the user to an easy-to-use menu navigation system. 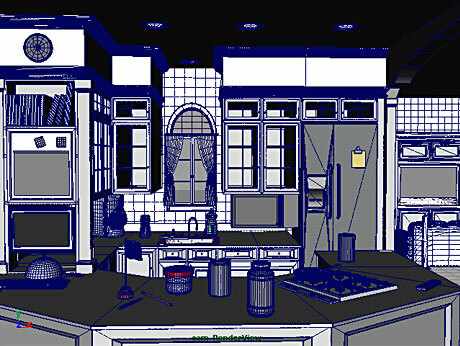 In addition to the kitchen environment itself, a 3D environment was built for the outside scene as well. This included animated 3D trees and clouds.